In 2009, the Flemish and Australian Governments signed a Memorandum of Understanding for cooperation between Australia and Belgium to mark the Centenary of the First World War. As part of this cooperation, the Menin Gate Lions will be loaned to Ieper from mid-April to November 2017. The Flemish Government is partnering with the Memorial to build a garden at the Memorial in Canberra with soil from First World War battlefields in Belgium. Read more about Flanders Commemorative Garden. Tinker tailor investigates the collections of five Australian soldiers who were part of the Australian administration in German New Guinea during World War 1. 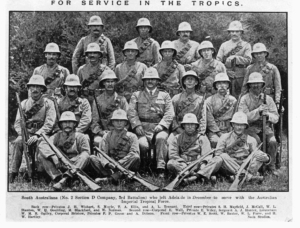 While in New Guinea these soldiers were intrigued by the local culture and acquired a number of New Guinea artefacts that later found their way into the collections of the South Australian Museum. Highlights of these collections will be displayed in the Pacific Cultures Gallery to acknowledge the connection between the Museum’s collections and World War 1 during the Great War’s 100th anniversary. 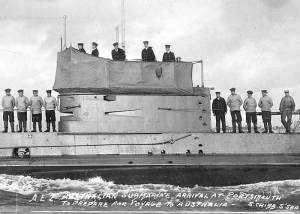 Image: The South Australian contingent of the Australian Naval and Military Expeditionary Force that left Adelaide in November 1914. Aboriginal and Torres Strait Islander people have fought alongside other Australians in every war, but their presence and contribution has not been acknowledged until recently. This exhibition tells the story of Aboriginal and Torres Strait Islander people who fought on behalf of their country before they were recognised as citizens. Visitors will hear individual experiences of Aboriginal and Torres Strait Islander soldiers and how this war impacted on their lives and the lives of their families. To mark the centenary of the First World War, the Australian War Memorial commissioned the Anzac Centenary Print Portfolio. Featuring work by five Australian and five New Zealand artists, the portfolio explores the Anzac legacy and commemoration in a contemporary context. 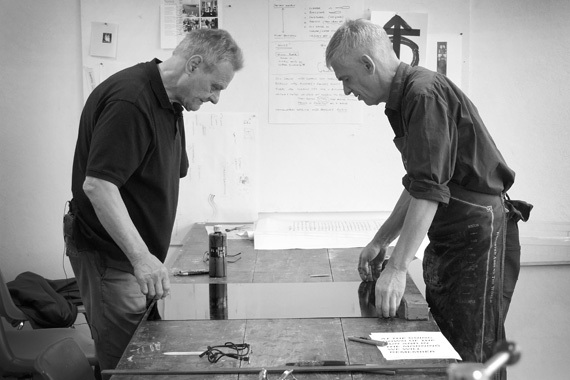 Read more about Anzac Centenary Print Portfolio. The Australian Government and the Australian War Memorial, supported by the Commonwealth Bank and Telstra are bringing the Spirit of Anzac Centenary Experience to communities across Australia – this will be the flagship community event of the Australian Government’s Anzac Centenary national programme. The Spirit of Anzac Centenary Experience is a travelling exhibition that tells the story of Australia’s involvement in the First World War, and the ensuing Century of Service of Australia’s armed forces in all wars, conflicts and peacekeeping operations in which Australia has been involved. 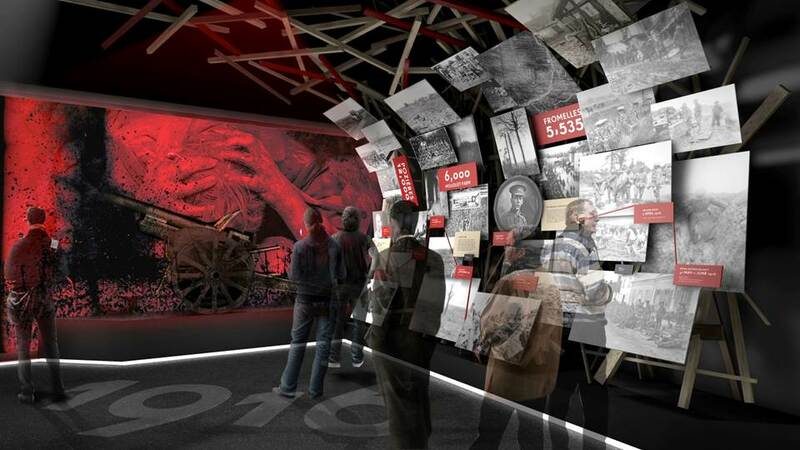 It will use an arresting mix of artefacts, audio and film to engage visitors. A key feature of the experience will be the curated ‘local stories’ zone that will be part of the exhibition. These zones will be created in close collaboration with local communities and will contribute to the legacy for each region. Read more about Spirit of Anzac Centenary Experience. 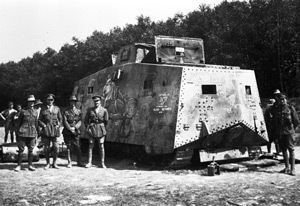 In collaboration with the Queensland Museum the Australian War Memorial will be displaying Mephisto, the only surviving German A7V tank from the First World War. Mephisto will then return to Queensland Museum Southbank for display in redeveloped galleries. Read more about Mephisto (in collaboration with Queensland Museum). A small exhibition at the Queensland Museum, South Bank exploring the notion of souveniring as a response to the ‘adventure’ of wartime in exotic locations. A Piece of Gallipoli is a small display in the Museum’s Discovery Centre highlighting Australians’ attachment to the place and the legend. 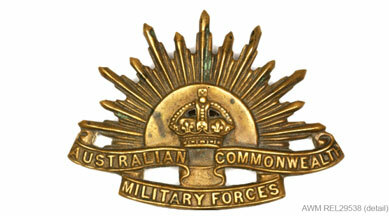 Ever since the first Anzacs landed on its shores in April 1915, Australians have been taking souvenirs home with them. 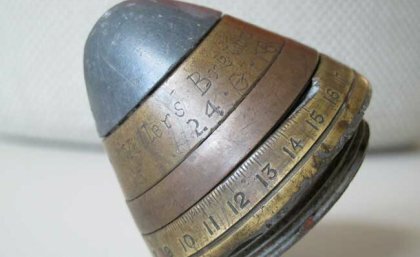 The first were pebbles and as the war progressed, shrapnel, spent shells and other items related to the War were collected. One hundred years later, manufactured souvenirs provide everybody with the opportunity to own a piece of Gallipoli. Read more about A Piece of Gallipoli. Railways played an essential logistical part on the battle fields of Europe and the Middle East, and at home in support of a far-away conflict. From recruitment trains that arrived at stations in country town across Australia, to the troop trains transporting soldiers and nurses to their point of departure, train-side farewells were felt in every state and territory of Australia. 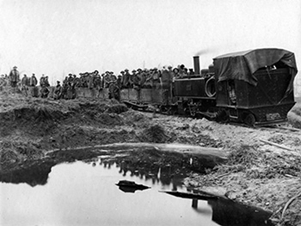 In the theatre of war, the hard work, stoicism and sheer courage of men operating railways in adverse conditions on the front exemplified the fighting spirit and camaraderie of Australians. Railways 1914 – 1918 presents a thought provoking mix of personal stories, imagery and objects that explores the role of railways at home and on the front in the war to end all wars, the First World War. This exhibition is currently on display at The Workshops Rail Museum, Ipswich. Read more about Railways 1914 – 1918. A diverse range of items from the MAAS collection offers fascinating insights into World War I and its enduring impact on Australian society. 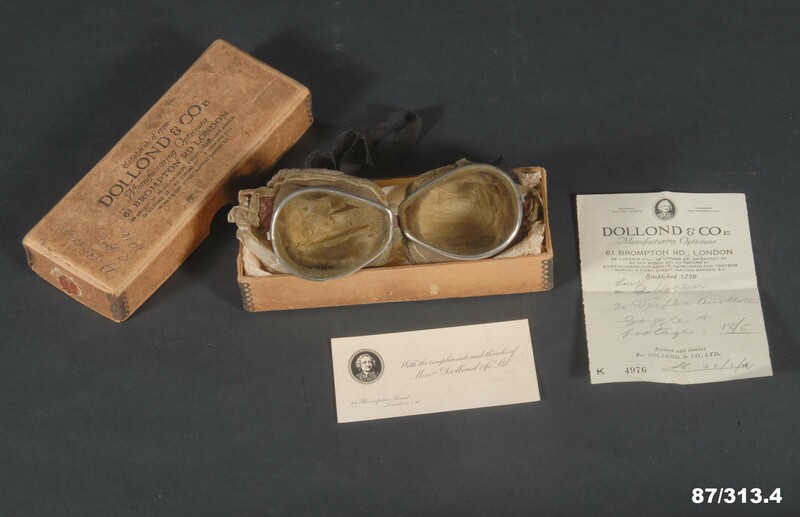 Objects including engines, weapons, X-rays and a prosthetic arm demonstrate the impact of World War I on innovation in science, technology and medicine. Gain insight into the emotional, physical and psychological cost of war and its wider cultural impact on Australia as a developing nation. Read more about Wartime Innovation. 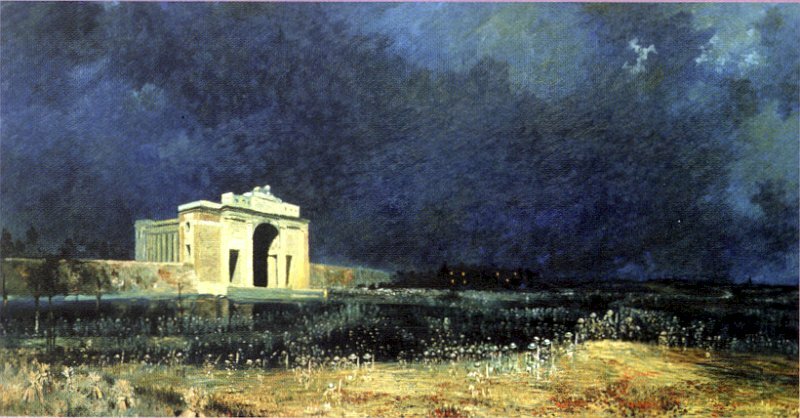 The Australian War Memorial loaned the iconic Menin Gate Lions and the Will Longstaff painting, Menin Gate at midnight, to the Canadian War Museum until mid-2015 for its exhibition on the fighting in Ypres in 1917, Mud, Blood and Memory. The Lions will be loaned to the city of Ieper in Belgium in 2017. The lions were originally gifted to Australia in 1935 by the city of Ieper in recognition of the service of Australians in Flanders during the First World War. They had stood either side of the ‘Menin Gate’ on the medieval wall around Ieper. Almost every one of the 12,000 Australians who died on the Ieper Salient marched past the lions. The lions will be placed on the Menin road, immediately in front of the Menin Gate. Read more about Loan of Menin Gate Lions to Canada & leper. 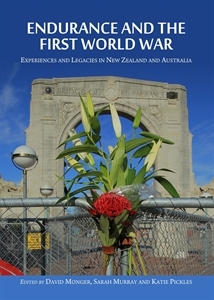 In 2015 Auckland War Memorial Museum will launch a mobile unit which will tour around the Auckland region visiting community centres, libraries, local RSAs and community events. Inside the unit people will be able to explore the Online Cenotaph Database and digitise their own items such as photographs, documents and artefacts straight to the database records. The programme launches officially in May and will continue for the next four years. 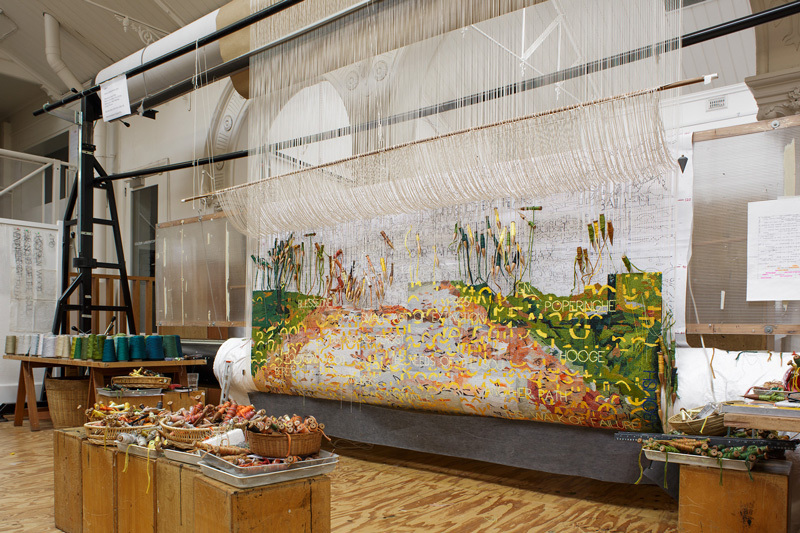 In November 2014 the Australian Tapestry Workshop Director, Antonia Syme and Australian War Memorial Director, Dr Brendan Nelson announced the commencement of a significant new First World War commemorative tapestry commission based on a painting by Australian artist, Imants Tillers (b.1950) for the Australian War Memorial. Read more about Commemorative Tapestry Commission. Following the Dawn Service, the Museum’s Anzac Day programme will include performances from Auckland Choral, Auckland Youth Choir and Auckland Girls’ Choir and a performance by the New Zealand Dance Company drawn from their acclaimed show Rotunda. There will also be a talk by writer Gavin Strawhan and director Peter Burger about their TVNZ drama series When We Go to War, guided tours, poetry readings, poppy making sessions, collection displays and talks, diary readings and a screening of the Auckland episode of the HISTORY Channel’s Tony Robinson’s Tour of Duty. 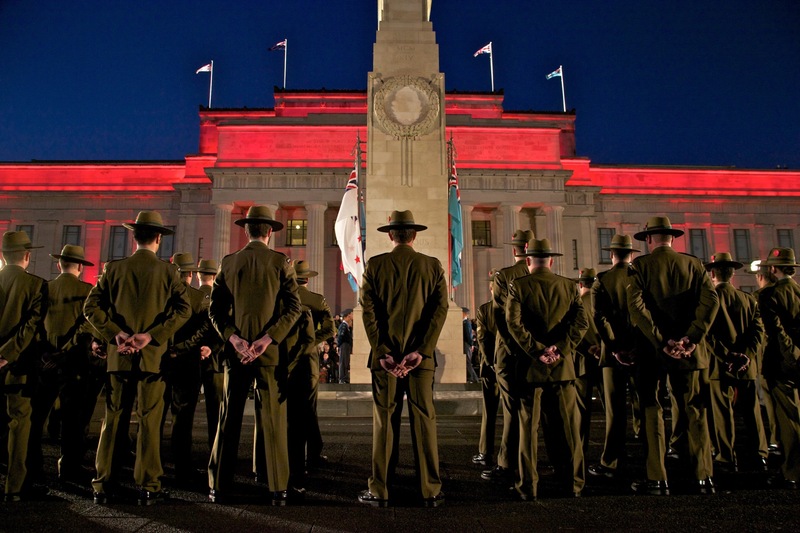 Read more about Anzac Day – Auckland War Memorial Museum. Explore the Gallipoli campaign in an exhibition featuring the interactive world of Minecraft®. This hugely popular online game is about breaking and placing blocks. Over the past year students from Alfriston College in Auckland have re-created the landscape of 1915 Gallipoli in Minecraft®, block by block. Working with the Museum’s staff and utilising our First World War collections, the students have learnt about the experiences of the New Zealand soldiers in the 1915 campaign. The Gallipoli in Minecraft® world will be available to download from 25 April. 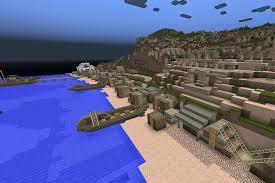 Read more about Gallipoli in Minecraft®. Over four nights in the lead up to and on Anzac Day, the Auckland War Memorial Museum will project free ‘illuminate’ screenings on its facade featuring a specially created film taken from TVNZ’s new First World War drama series, When We Go to War. 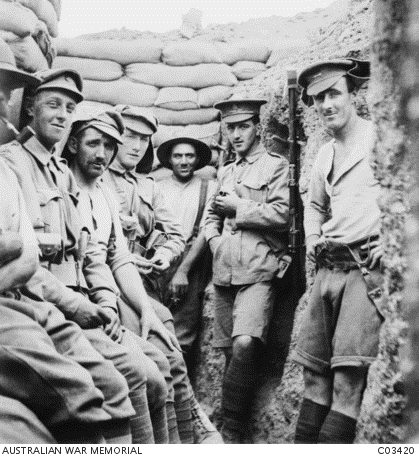 The museum will also be screening rarely seen photographs of New Zealanders at Gallipoli, from the Museum’s recently published book, The Anzacs. On Anzac night, the Museum will screen the Dawn Service from Gallipoli before the Illuminate programme. Read more about Illuminate: When We Go to War. 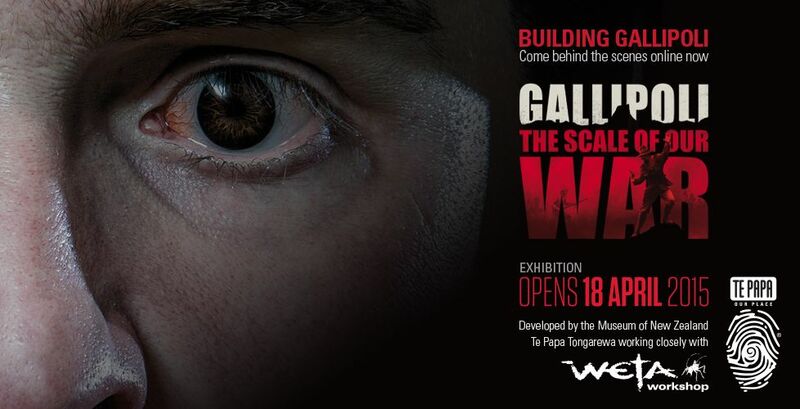 To mark the World War I centenary, Te Papa has joined forces with Weta Workshop to take you back to Gallipoli. 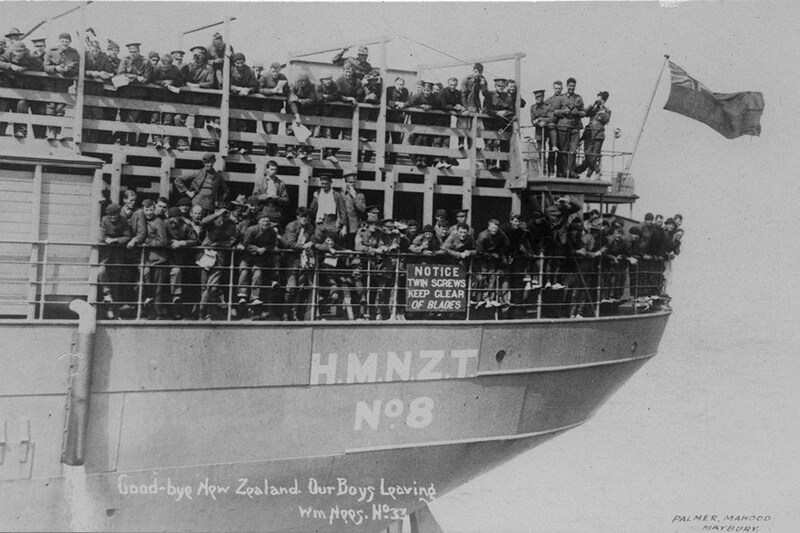 Experience the triumphs and countless tragedies of this 8-month campaign through the eyes and words of the ordinary New Zealanders who were there. The worlds of movies, model-making, and museums combine to take you on an immersive journey through the battlefields. Follow the action on 3-D maps and projections. View photos taken by soldiers on the front line. See the weapons used in combat. Crawl into a dugout and hear the letters an officer wrote to his wife, just days before he was killed. Discover the cramped, filthy conditions that the soldiers faced – the lice, flies, and disease. See inside a scale-model of the Maheno hospital ship. And hear from veterans many years after they served. In total, 2,779 Kiwis lost their lives on Gallipoli, and many others were scarred forever. Gallipoli: The scale of our war takes you to the core of this defining event. Read more about Gallipoli: The Scale of our war. 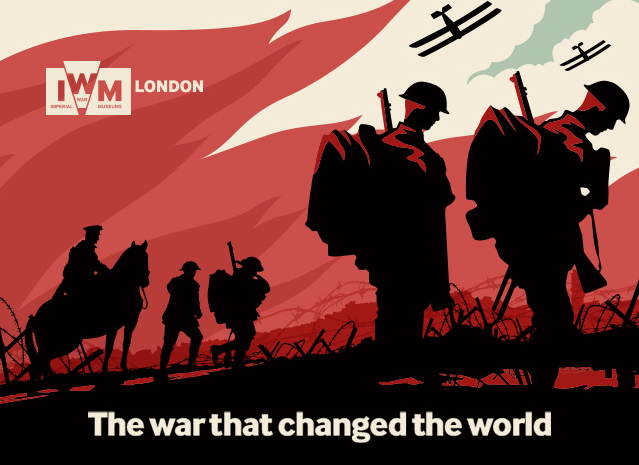 The WWI Centenary Exhibition coming only to Melbourne Museum, opens in April 2015. This is the most historical and significant exhibition from the Imperial War Museum to ever leave Great Britain and visit our shores. This multi-sensory, collections-rich journey will bring visitors face-to-face with objects and stories that illuminate the experience and personal stories of war, and reveal the enormous, industrial and worldwide scale on which it was fought. Read more about The War that changed the world. The Suspense is Awful commemorates the role Tasmanians played in WWI and the impact the war had on Tasmanian society. Drawing from multi-disciplinary collections, the exhibition highlights stories previously untold – including those of Tasmanian Aboriginal servicemen and of the men and women who provided medical support on the front line. Read more about The Suspense is Awful: Tasmania and the Great War. 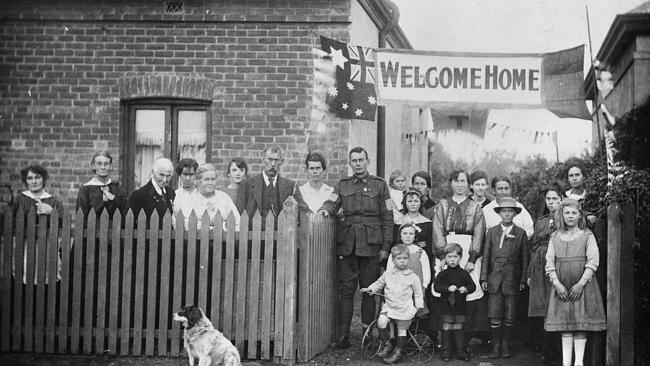 The Home Front explores the pride, sorrow, passion, wonder and joy experienced by Australians far from the battlefields of the First World War. Through personal stories, this exhibition looks at life on the Australian home front, and explores people’s choices, opportunities and challenges in a time of heightened emotions. Read more about The Home Front. 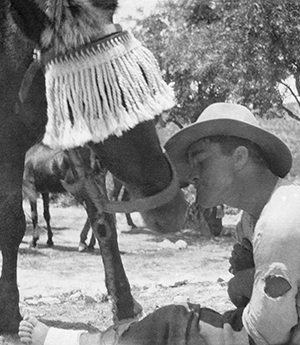 Discover the sacrifice, bravery and mateship of the Queensland soldier and his horse at Cobb+Co Museum, Toowoomba. Horse in War focuses on the lives of those who worked with, and risked death alongside, the 120,000 horses of the Australian Army during the First World War. Through photographs, diaries and original objects, Horse in War tells the stories of some of the thousands of skilled horsemen from rural Queensland and across Australia who joined the war effort. Read more about Horse in War – Cobb & Co Museum. This major international conference hosted by the Australian War Memorial and the Australian National University at Llewellyn Hall, Australian National University, Canberra will bring together leading historians from all the countries who contributed forces to the campaign to present the most current perspectives on the many faces of Gallipoli. 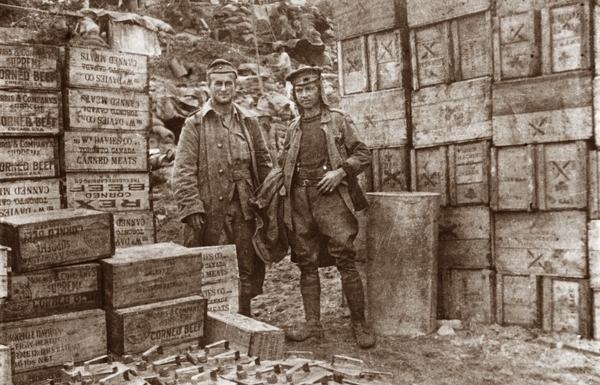 Read more about Gallipoli 1915: a century on. What did Australians see at their local cinema during the First World War? A fascinating selection of shorts, newsreels, propaganda and local feature films are presented by the Australian Centre for the Moving Image in partnership with the National Film and Sound Archive and the Australian War Memorial. See how the war was presented on the big screen, and explore the melodramas and comedies that offered entertainment and escapism to those on the home front. 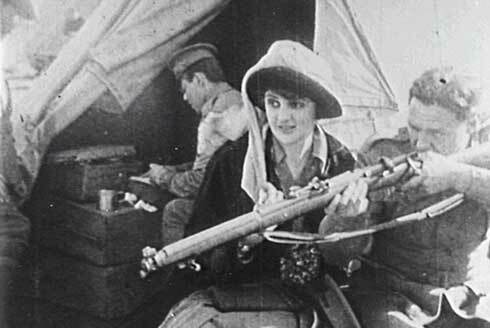 Read more about War Pictures: Australians at the Cinema 1914-18. The Auckland War Memorial Museum has asked the public to help in telling the stories of those who served in the First World War. They have been asked to select a name from the Memorial’s WWI Hall of Memories, Online Cenotaph, local memorial or a family member who served in WWI, research the story and share it. Stories will be published on the museum website to become part of the More than a Name archive and Online Cenotaph. Read more about More than a name – Cenotaph. 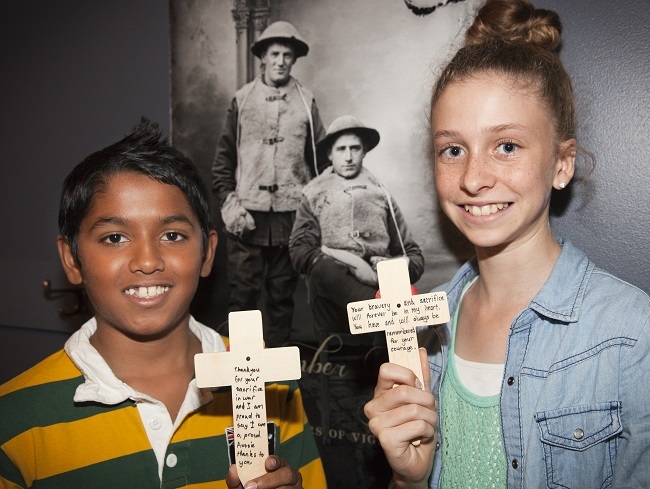 The Australian War Memorial plans to draw on the commemorative experiences of schoolchildren visiting the Memorial by capturing, in the students’ own words, their individual reflections on those who have sacrificed their lives in war and other conflicts. These thoughts will take the form of short messages on small wooden crosses, which the Memorial will arrange to be laid throughout the Centenary period on war graves and memorials. Read more about Commemorative Crosses Project. In partnership with the State Library of South Australia, the South Australian Museum and the Art Gallery of South Australia, History SA is researching the SA perspective on WWI. Through a vast array of primary source material from service personnel and others, the project will recount the complex web of events from a local perspective. 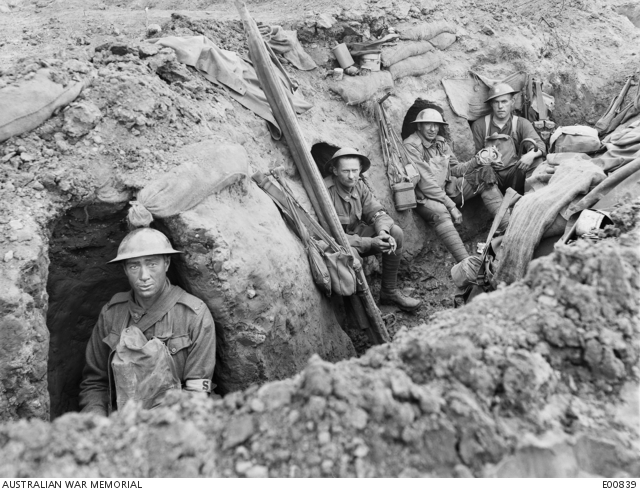 Read more about South Australia’s war 1914-1918. The South Australian Maritime Museum exhibition explores the role of SA’s former Colonial Naval Ship Protector which landed naval reservists at Rabaul, New Britain – an action which resulted in the first Australian casualties of WWI. This is the first phase of a major exhibition to be installed in 2015 exploring the ship’s role in WWI and the experience of South Australians in the naval theatre of war. Read more about Protector at Rabual. 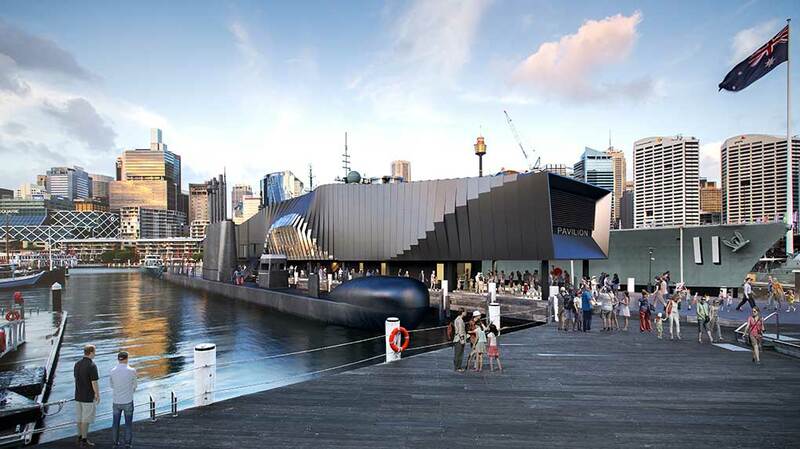 The Australian National Maritime Museum is building a state-of-the-art Warships (Royal Australian Navy) Pavilion to mark the centenary of World War I and commemorate 100 years of submarine and surface service by the Royal Australian Navy (RAN). The pavilion is expected to be completed in 2015. Read more about Warships (Royal Australian Navy) Pavilion. The Australian War Memorial has a number of Indigenous projects planned throughout the centenary period including recording the Indigenous personnel who served in WWI, and their stories in the new galleries; collaborating on the Serving Our Country project, a history of Aboriginal and Torres Strait Islander service in the ADF; and providing input to a number of related documentaries and local commemorations. Read more about Indigenous Commemoration. When war broke out in August 1914, Australia immediately answered the call. In all, more than 350,000 Australians – all of them volunteers – went off to serve on foreign soil, in the air, or on far-off seas. But the cost of victory was high. More than 60,000 failed to return, having either died of wounds, been killed in battle, or succumbed to illness. Many of those who survived would continue to bear mental and physical injuries for the rest of their lives. This publication, written by Lambert Gallipoli Fellow and Australian War Memorial Senior Historian Peter Burness, tells the stories of these men and women. Read more about Australians at the Great War. A new publication edited by David Monger, Sarah Murray and Katie Pickles. Endurance was an inherent part of the First World War. The chapters in this collection explore the concept in New Zealand and Australia. 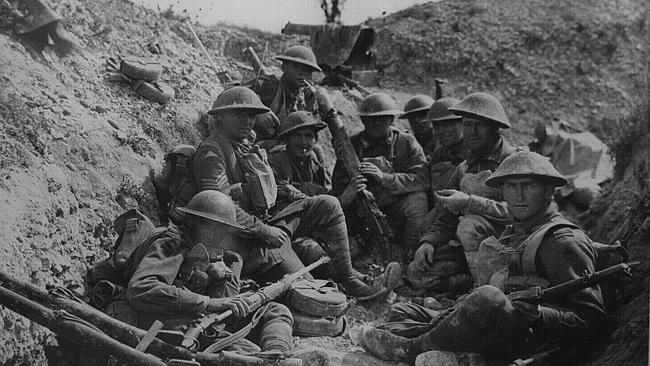 Researchers from a range of backgrounds and disciplines address what it meant to endure the First World War, and how the war endured in following years. The editors include history staff from the University of Cambridge and Canterbury Museum. Read more about Endurance and the First World War. Two ships, two nations, one extraordinary story at the Western Australian Maritime Museum. The Last Gentlemen of War recreates the events of an extraordinary battle in 1914 when the first HMAS Sydney met the German light cruiser Emden at the Cocos Islands. It was a decisive victory for the Royal Australian Navy in its first-ever battle at sea. 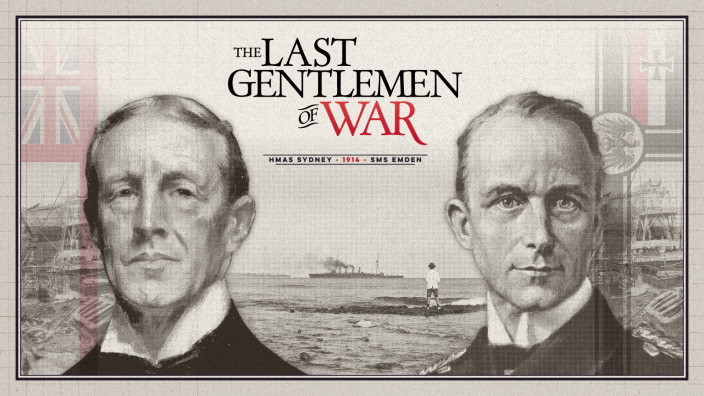 Read more about The Last Gentlemen of War. The National Anzac Centre, opened on 2 November 2014, is Australia’s foremost museum dedicated solely to honouring the Anzacs of the First World War. 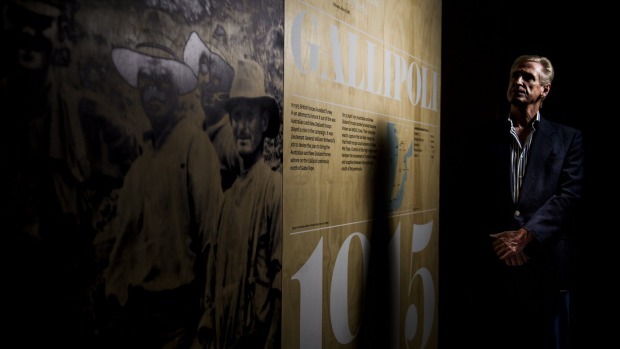 Marking the site where over 41,000 Australians and New Zealanders left Australia bound for the war, the Centre offers visitors a deeply personal connection with the Anzac legend revealed through interactive multimedia displays, unique artefacts, rare images and film, and audio commentary. The interpretation within the Anzac Centre was coordinated by the Western Australian Museum. 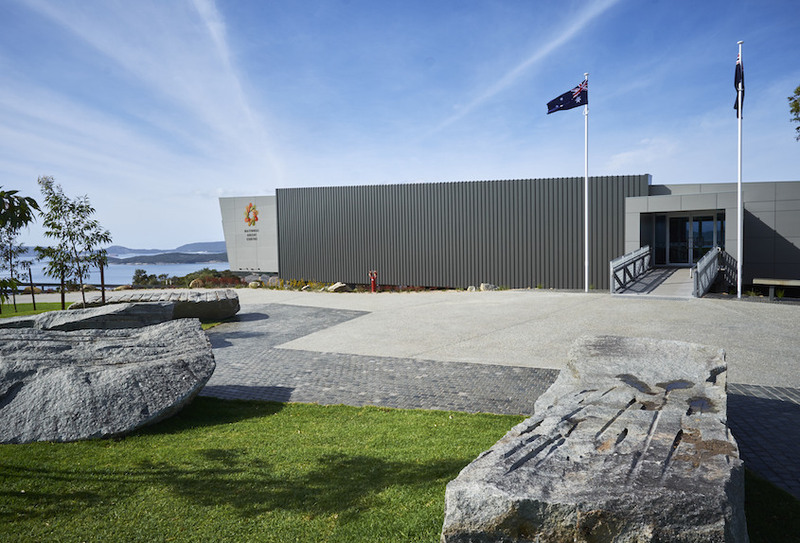 Read more about National Anzac Centre Albany. The launch of Lest We Forget on the 16 October 2014 marks the 100th anniversary of the departure of 8,000 New Zealand troops from Wellington for the battlefields of Europe. In commemoration, Te Papa, Archives New Zealand and Ngā Taonga Sound & Vision will be using public spaces around the city to bring the past into the present through a series of large-scale multi-media projections from 16 to 18 October. Read more about Lest We Forget. A book written by Dr Peter Pedersen (Acting Assistant Director, Australian War Memorial), Anzac treasures tells the Anzac story and evokes what Australians endured on Gallipoli as never before – through the priceless objects, photographs, works of art, diaries, and documents in the Australian War Memorial’s collection. 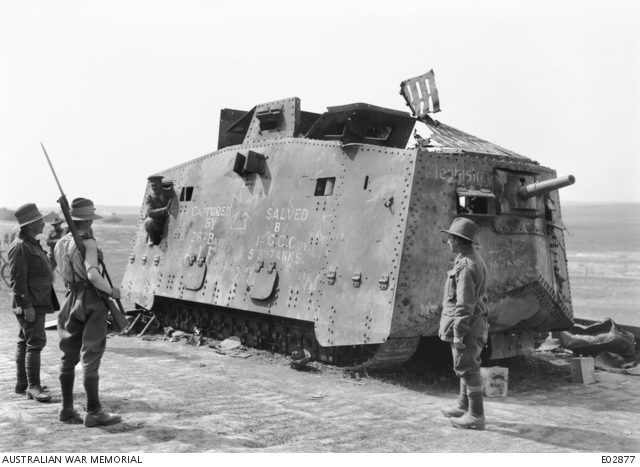 Read more about Anzac Treasures: The Gallipoli Collection of the Australian War Memorial. 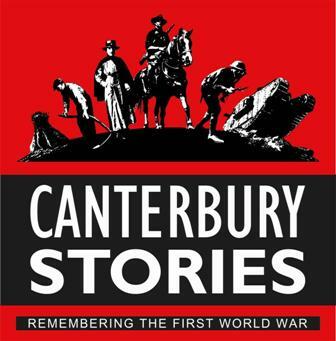 Canterbury 100 is a collaborative project, co-ordinated by the region’s major cultural and heritage institutions, telling the story and experiences of Canterbury people during the First World War. 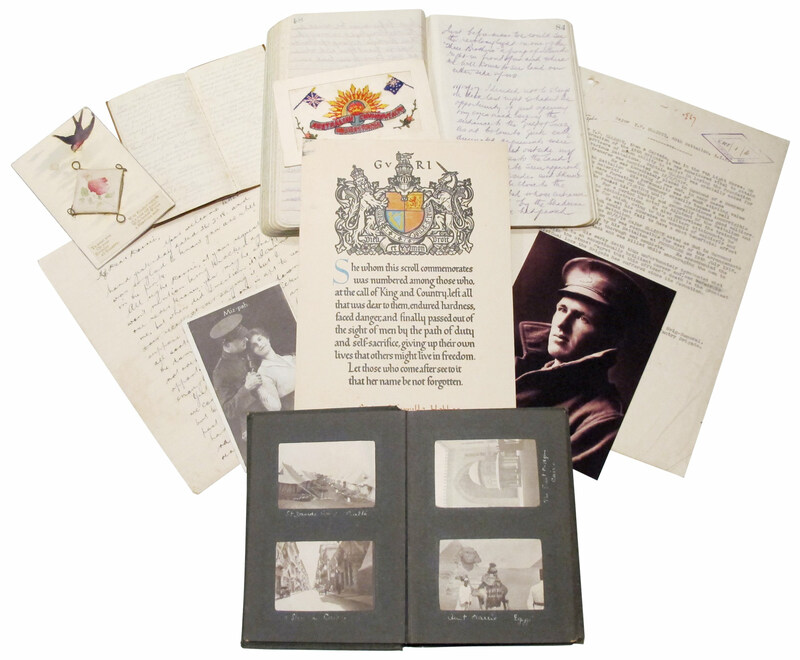 Canterbury residents are encouraged to contribute personal stories, photographs, diaries and papers, and artefacts from people in Canterbury relating to the First World War to present in a regional exhibition and preserved in a digital archive. Read more about Canterbury 100 Website. An exhibition developed by the Migration Museum in partnership with Flinders University. 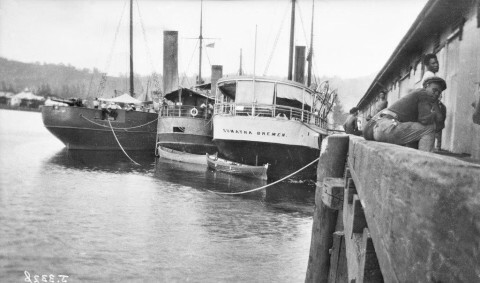 Within months of the outbreak of WWI, hundreds of men – ‘enemy aliens’ – were interned on Torrens Island, in the Port River estuary near Adelaide. Sailors taken off enemy ships, foreign nationals living in South Australia, and even some naturalised British subjects found themselves behind barbed wire. Observations of camp life survive in the compelling photographs of Paul Dubotzki and the diary of professional boxer Frank Bungardy. Brought together in this exhibition, these sources tell the little-known story of South Australia’s ‘enemy within’. Read more about Interned: Torrens Island, 1914-1915. Showing at the Western Australian Museum – Albany. 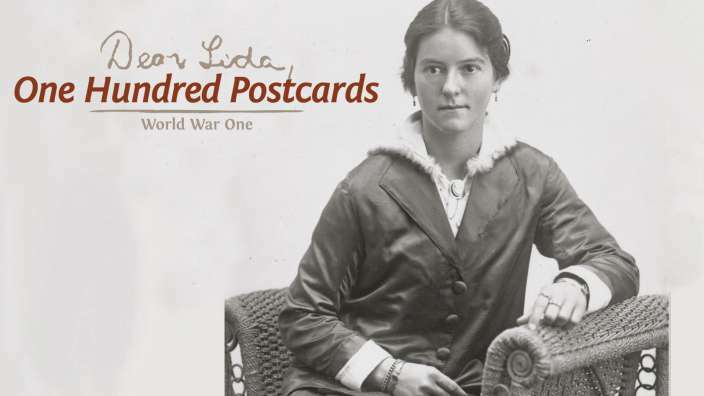 Six soldiers serving in the Australian Imperial Force (AIF) during World War One sent over one hundred postcards to home-nurse Eliza ‘Lida’ Jane Downey of Boulder, Western Australia, while training or on active duty overseas. Sadly most were killed, wounded or medically incapacitated, while serving on the Western Front. The showcase features over 100 postcards sent from this period. Read more about One Hundred Postcards. Showing at the Air Force Museum of New Zealand, the exhibition provides a Canterbury-focused insight into WWI through the stories of those who experienced it – not only the soldiers and nurses on the front line but also the men, women and children who remained on the ‘Home Front’. The exhibition is part of the Canterbury 100 collaborative project which is co-ordinated by the region’s major cultural and heritage institutions including Canterbury Museum. Read more about Canterbury Stories – Remembering the First World War. This travelling exhibition will tell the personal stories of men in the Royal Australian Navy (RAN) through rare artefacts from the collections of the Australian National Maritime Museum, the National Film and Sound Archives and the Australian War Memorial. It includes multimedia and interactives that will highlight the lived experience of the fledgling Australian Navy as it underwent its first test – a test of war. It looks at some of the navy’s well known triumphs such as the battle between HMAS Sydney and the German raider SMS Emden, as well as the lesser known work of the Bridging Train and the role of the submarine AE2 at Gallipoli. Read more about War at Sea – Royal Australian Navy in WWI. Melbourne Museum’s new exhibition WWI: Love & Sorrow tells the century-old personal stories of war with 21st century technology. The exhibition allows visitors to experience one of the world’s most destructive conflicts through the eyes of eight real-life individuals, including a Victorian mother awaiting the return of her son; Aboriginal brothers from Orbost fighting on the Western Front; and a Jewish German soldier on the other side of that same front. 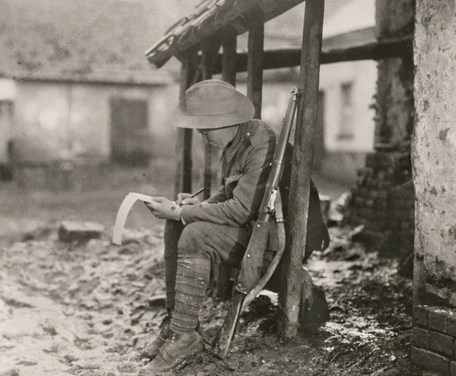 Read more about WWI: Love and Sorrow. Image rich, the exhibition explores the human response to the demands of war, physically, emotionally and psychologically. It takes in the wider societal response and the flow-on in the years after. The exhibition also features an immersive soundscape and a searchable comprehensive database linked to the Memorial Wall, which will be populated with poppies placed by visitors over the three year life of the exhibition. Read more about Great War 1914-18 – Sacrifice and Shadows. Why did we go to war? Was our national identity really forged by the First World War, or did that happen later? What is war good for? Were the gains worth the pain? Does remembering history help us, or are we doomed to repeat the lessons? How should we commemorate war without glorifying it? A series of discussions at facilitated by staff from the University of Otago around major questions about WWI. Read more about Change My Mind series – WW100 centenary. Showing at Western Australian Museum – Kalgoorlie-Boulder. 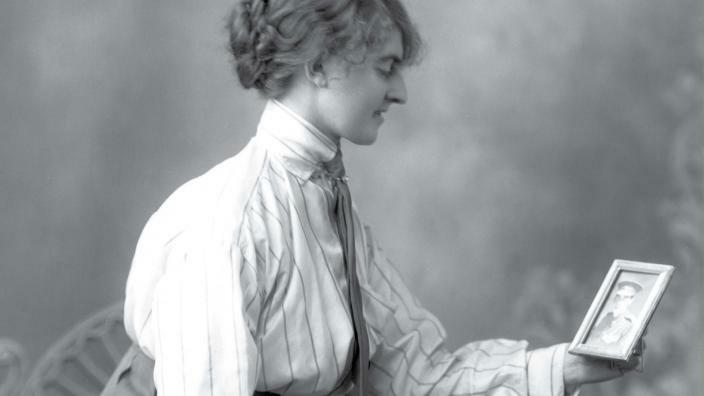 The Western Australian Museum has developed an exhibition based on its significant Dwyer-McKay photographic collection. JJ Dwyer and T McKay took portraits of soldiers on enlistment and when they returned home at the end of the war, as well as photographing major events held in Kalgoorlie during the war years. 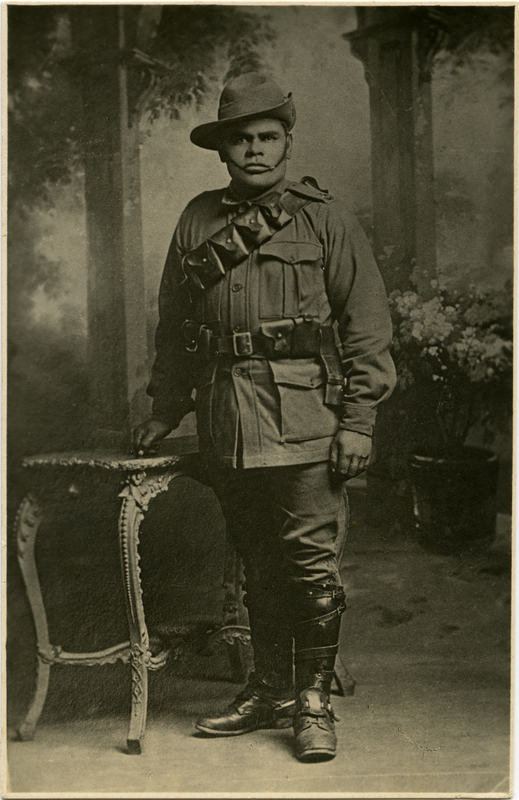 Read more about Faces from the Front: WWI and the Goldfields of WA. One designer, two authors, nine chapters, 28 library, archive and museum collections, and more than 300 illustrations: these are some of the ingredients that have gone into Holding on to Home: New Zealand Stories and Objects for the First World War. The book, written by Kate Hunter and Kirstie Ross, was published by Te Papa Press on 21 August 2014. 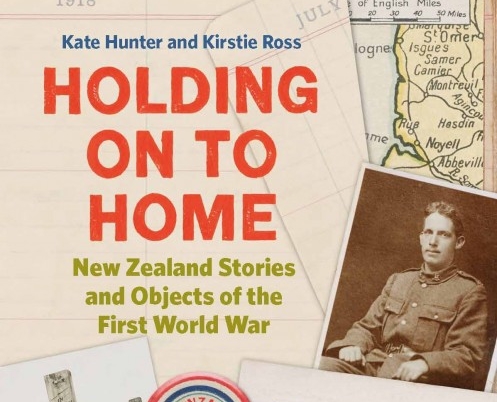 Read more about Holding On to Home: NZ Stories and Objects for the First World War. In 1915 soldier and surgeon Sir Charles Ryan captured the Australians’ experience on Gallipoli via a series of candid photographs. These images take us behind the stirring accounts of battle being reported at home to reveal the dry, forbidding landscape, tired troops in the trenches, squalid dug-outs, and the horrendous task of burying the dead. The exhibition will tour to a range of venues around Australia. See Tour Schedule here. Read more about A camera on Gallipoli. 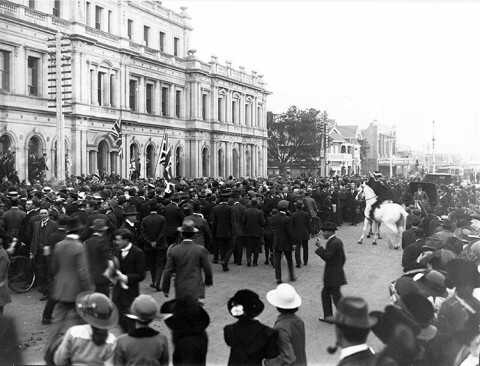 The outbreak of the First World War was the first crisis for the new Australian nation. The first few months demonstrated Australia’s enthusiastic commitment to the war, not yet exposing the tensions that would later divide the nation. Australians willingly went to war as Britons, but were also determined that the war effort reflected our young nation’s democratic spirit. 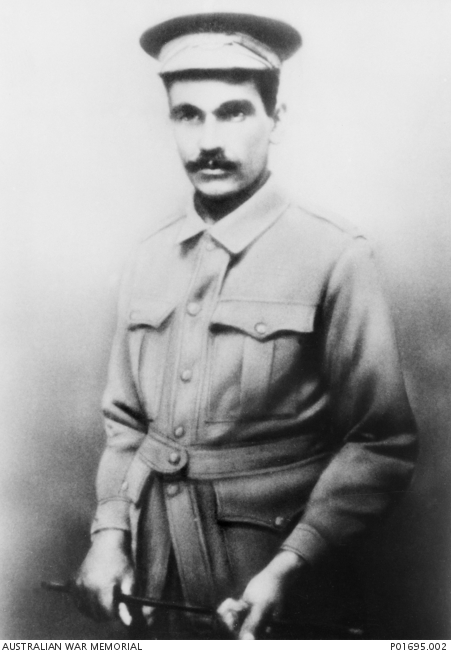 The decisions made by the governments led firstly by Joseph Cook, and then Andrew Fisher, were crucial to how Australia would conduct its war effort. 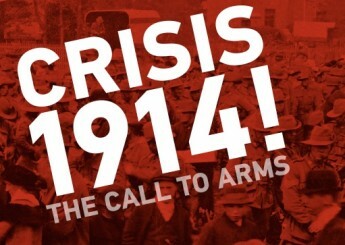 Read more about Crisis 1914! The Call to Arms. The Roll of Honour Soundscape project began in 2014 with groups of primary school students from across Australia recording the names and ages of some of the 62,000 Australians who died in service during the First World War. The recordings are currently playing in the Memorial’s First World War cloisters. 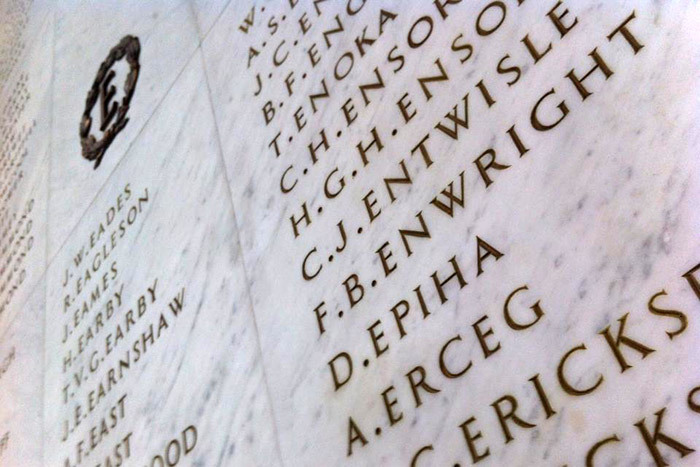 It is the Memorial’s goal to collect recordings of all 62,000 names that appear on the First World War Roll of Honour. The Memorial and Google Australia have now developed an online recording application, Remember me, which will allow all primary schools to participate in the project from their classrooms. Read more about Roll of Honour soundscape. 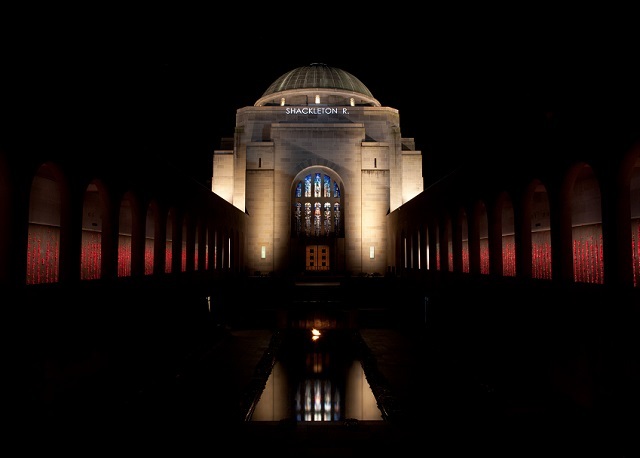 During the Centenary period, the name of each of the 62,000 Australians who gave their lives during the First World War will be projected onto the façade of the Hall of Memory at the Australian War Memorial from sunset to sunrise every night. Search the Roll of Honour to help you find out when a particular person’s name will be projected. Visit the site below for the estimated date and time at which the name will be displayed. The information will be updated during the Centenary period. Read more about Roll of Honour name projections. A two-day symposium in Adelaide will give participants the opportunity to learn about South Australian society, politics and culture – before everything changed. Jointly presented by History SA, the University of Adelaide, Flinders University, the University of South Australia and the Professional Historians Association, the event will explore the cultural makeup of South Australia and questions of loyalty to the British Empire, country and city perspectives, and technology and everyday life. Read more about WWI Symposium – South Australia on the Eve of War. 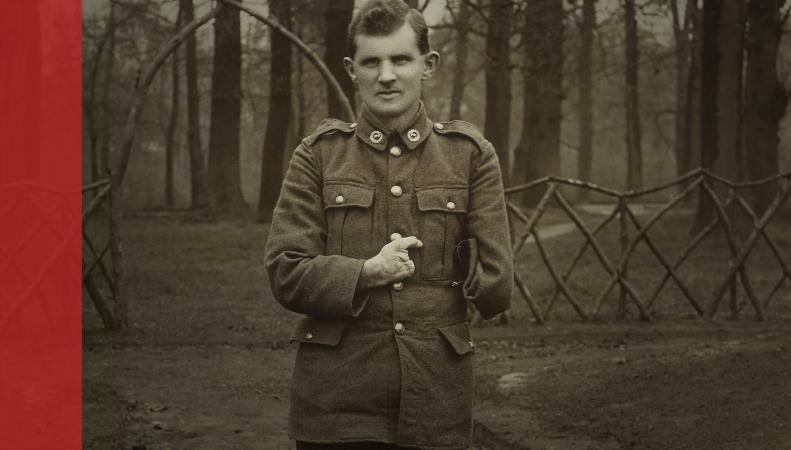 Road to Recovery: Disabled soldiers of World War I reflects on the unimaginable physical destruction caused by the war. The exhibition explores how New Zealand soldiers disabled in the hostilities were supported to regain their personal and economic independence. 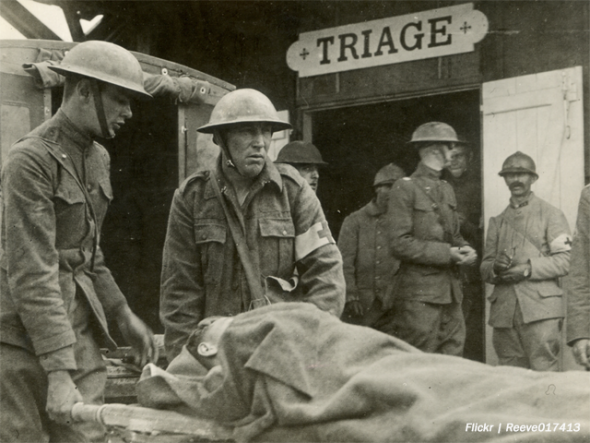 Read more about Road to Recovery: Disabled soldiers of World War I. 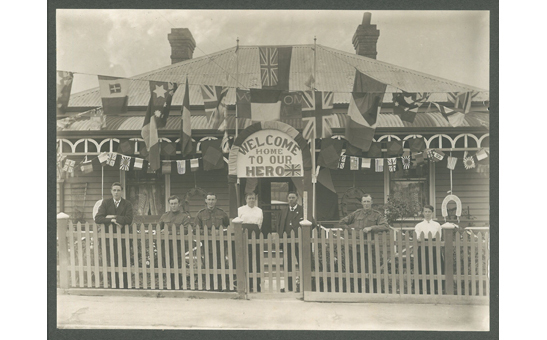 To explore the events of WWI from a local and social perspective, History SA and the State Library of South Australia have created a new blog – A World Away: South Australia’s War to help people understand the complexity of these events. It represents the war through the words of those who were there, month by month, as events unfolded. 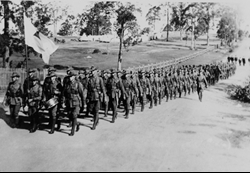 Read more about A World Away: SA’s War 1914-1918. The symposium, on July 11, is the second part of the Somewhere in France, Somewhere in Australia project, which began in 2014 with a public appeal to Queenslanders to submit artefacts, souvenirs and mementos associated with Australian war service in France. In July 2014, French and Australian museum curators and historians will gather during a special public symposium at the Museum. You can join us to hear talks from international experts and to find out about some of the amazing stories uncovered during the project. Read more about Somewhere in France, Somewhere in Australia. Entangled Islands is the first in a series of ‘chapters’ about the New Zealand war experience. 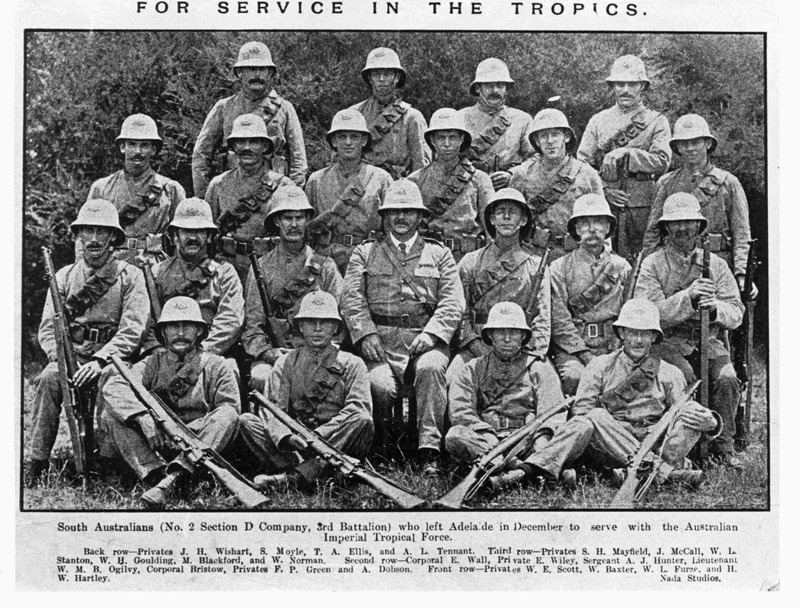 On 29 August 1914, only three weeks after war began, New Zealand troops took over Sāmoa – then under German control. It was an event that would entangle New Zealand and Sāmoa together through bad times, and better ones. 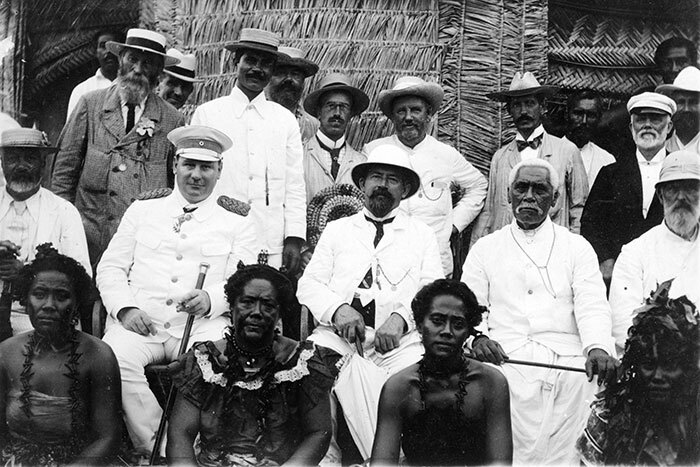 Read more about Entangled Islands – Samoa, New Zealand and the First World War. 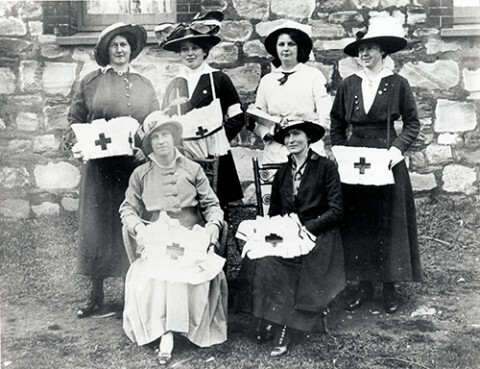 As part of the world’s largest humanitarian movement, the Red Cross has been part of Australian life since it was established nine days after the outbreak of WWI. Part of the Red Cross centenary celebrations, this History SA travelling exhibition traces the history of the SA division through stories, images and objects. Read more about Good and Useful Work. As part of its First World War commemoration programme, Te Papa has sought to identify a group of mystery soldiers and their loved ones. 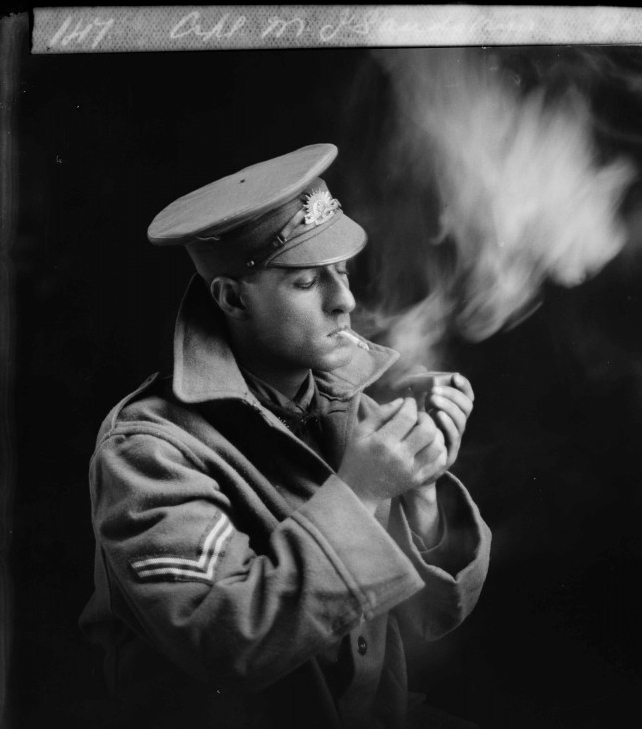 We call them the Berry Boys, and they feature in The Berry Boys: Naming the Kiwi faces of World War I, an intimate exhibition on now at Te Papa. 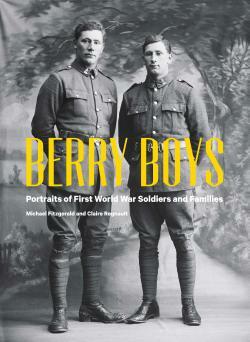 Read more about The Berry Boys: Naming the Kiwi Faces of World War 1. 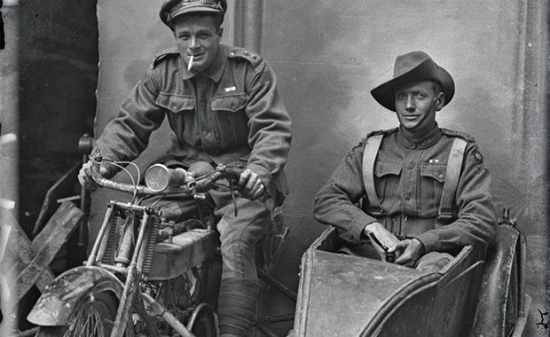 Queensland Museum will be the first host for this Australian War Memorial travelling exhibition. Behind the front lines of the Somme, Vignacourt was a staging point, casualty clearing station and recreation area for troops. Captured on glass, printed into postcards and posted home, these photographs enabled Australian soldiers to maintain a fragile link with loved ones in Australia. Read more about Remember me: the lost diggers of Vignacourt. What Australians endured on Gallipoli and the Western Front, in the mud of Flanders and the deserts of Sinai–Palestine, was almost beyond description. Drawing on the letters and diaries in the Memorial’s archives, this exhibition presents an intimate account of the First World War. Read more about Anzac Voices. 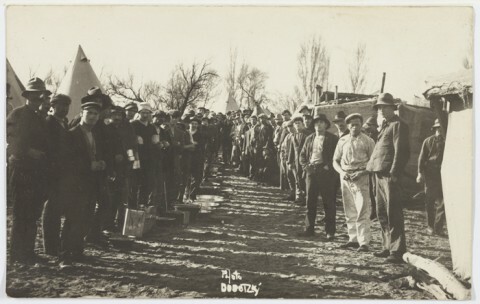 The Anzac Connections project is a major Australian War Memorial web development project which will not only progressively deliver new, digitised collections to the website, but aims to improve search and discovery on the site, and provide ways for people to interact with the collection. The project has been established to mark the 2015 centenary of the landing on Gallipoli. Visit the link below to explore the digitised collections. Read more about Anzac Connections. A travelling exhibition telling the moving stories of the eight South Australians awarded the Victoria Cross in the First World War. The exhibition includes framed citations and replica sets of medals, including the VCs belonging to the men. 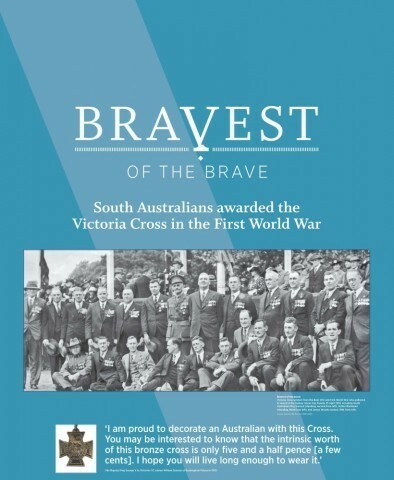 The exhibition was produced as a partnership between History SA and Veterans SA. Read more about Bravest of the Brave. Scheduled for opening in 2018 at the Queensland Museum South Bank site, a new $14.3 million Queensland Remembers will feature an Anzac exhibition that explores the social legacies of World War One in Queensland including many things, no part of daily life, that were created in response to this devastating conflict. The gallery will also become the permanent home of one of the world’s most significant war trophies – the A7V Sturmpanzerwagen armoured assault vehicle, Mephisto. Read more about Our Anzac Legacy.